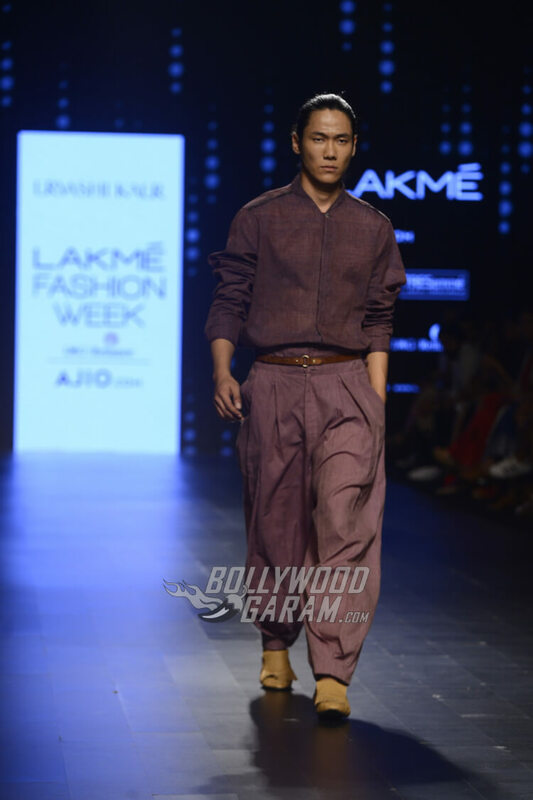 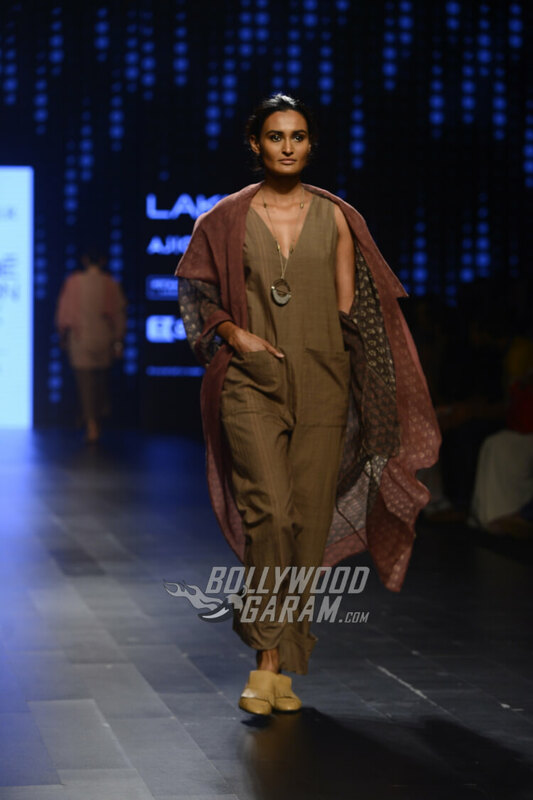 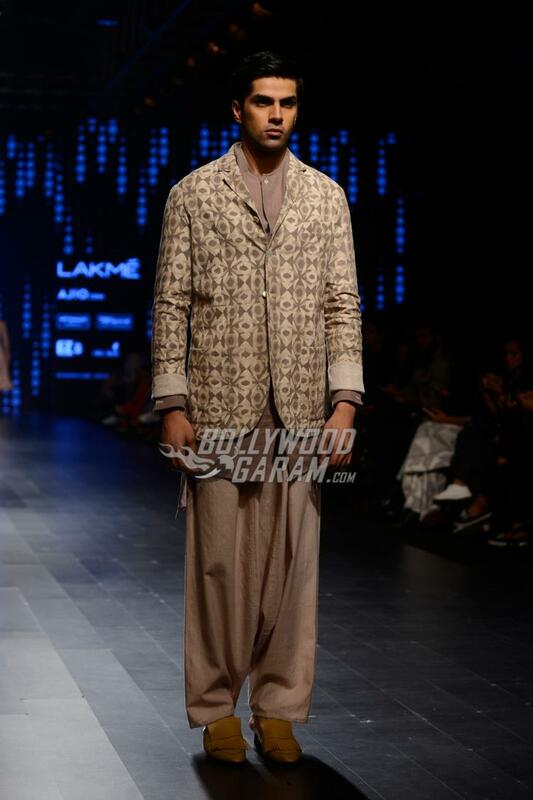 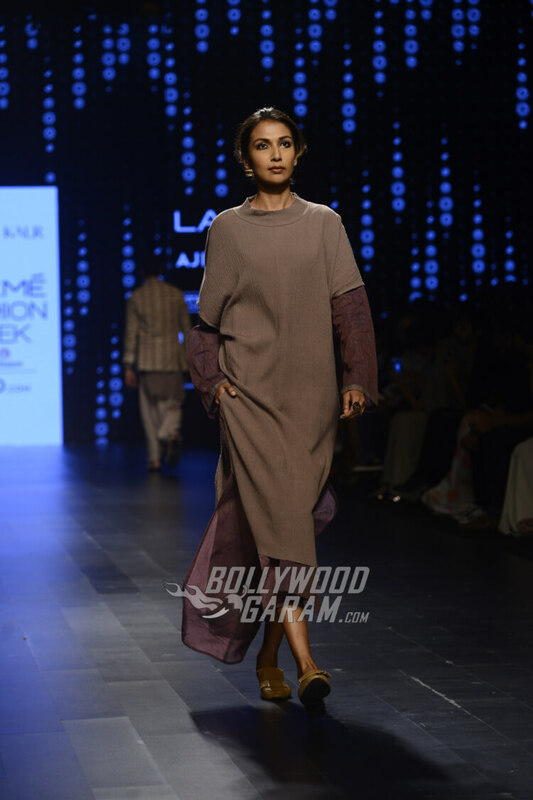 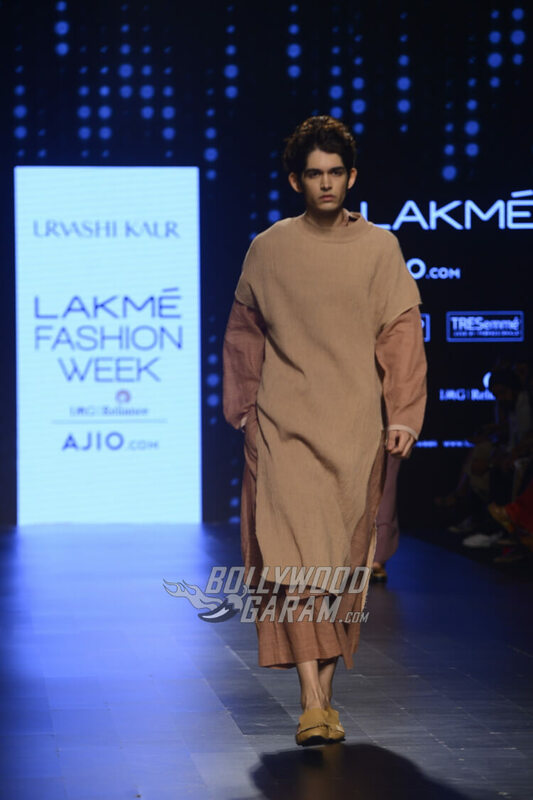 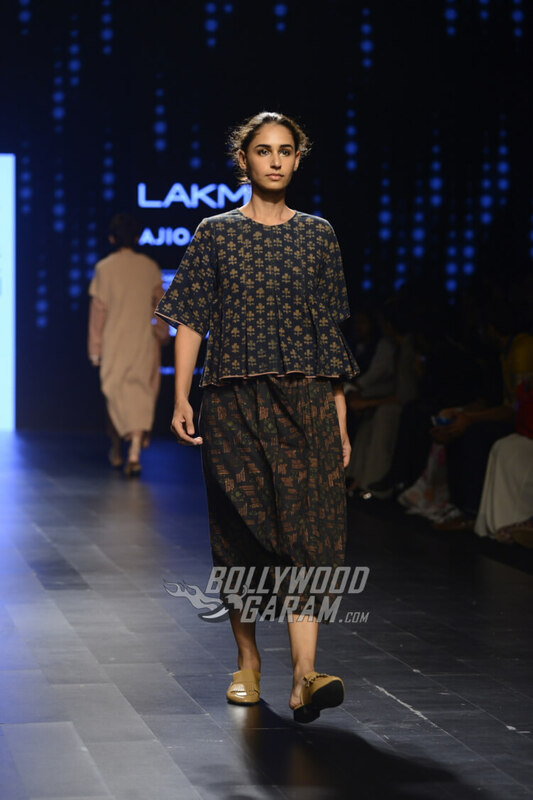 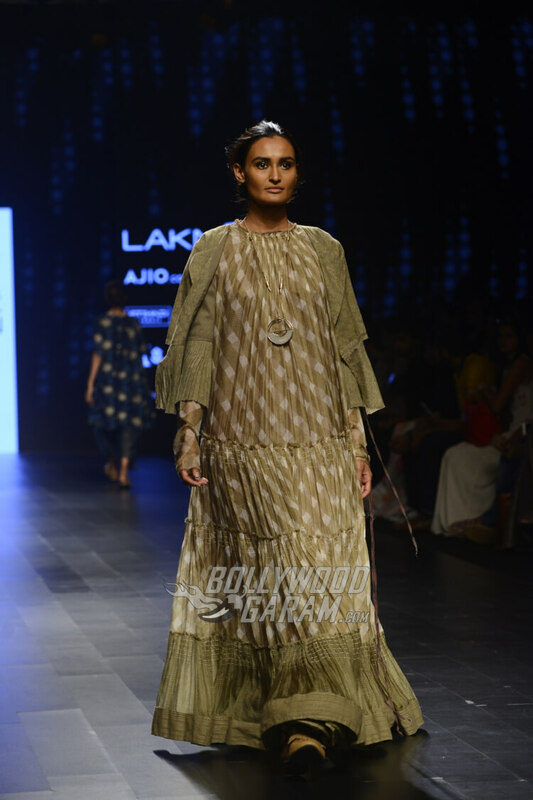 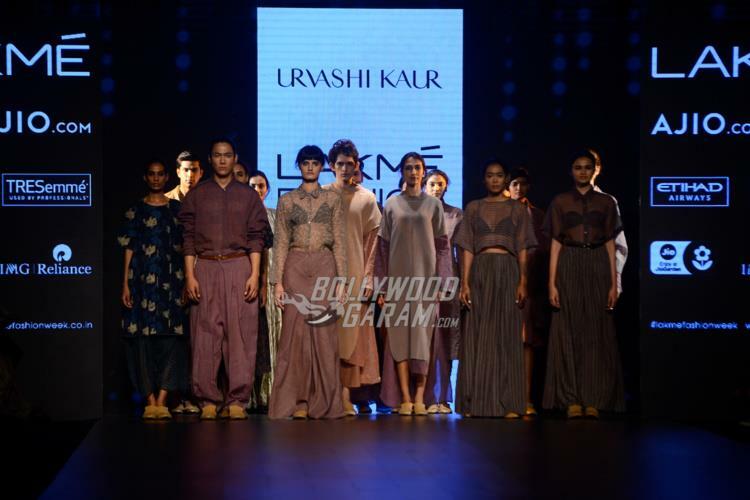 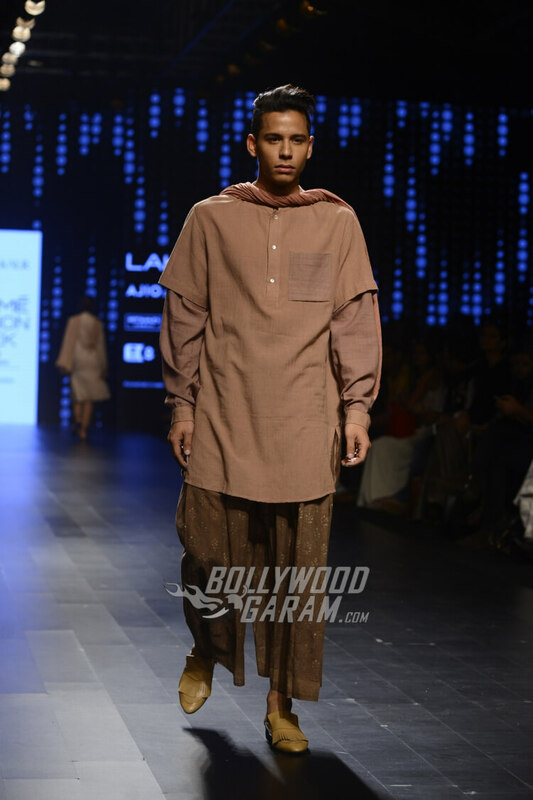 Indian designer Urvashi Kaur showcased her collection ‘Vaasa’ for men as well as women on day one of the Lakmé Fashion Week Summer Resort 2017 in Mumbai on January 1, 2017. 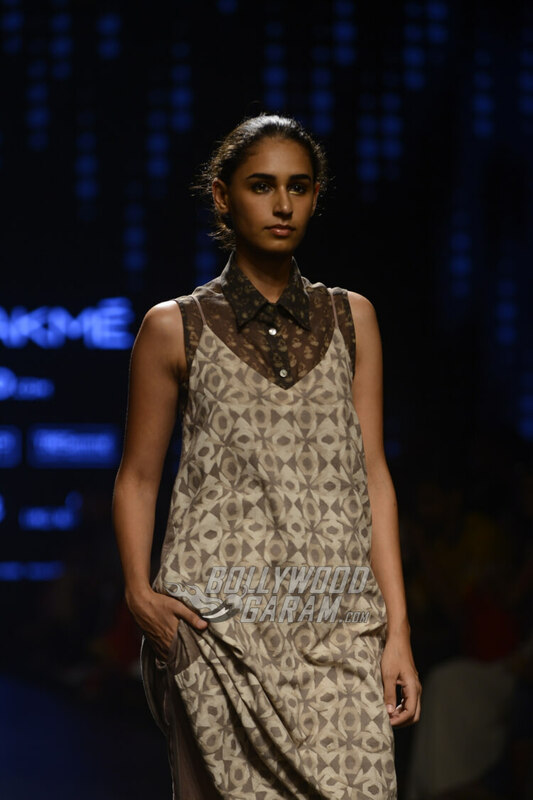 The collection by Kaur has inspirations from her travel experience to the pockets of the country. 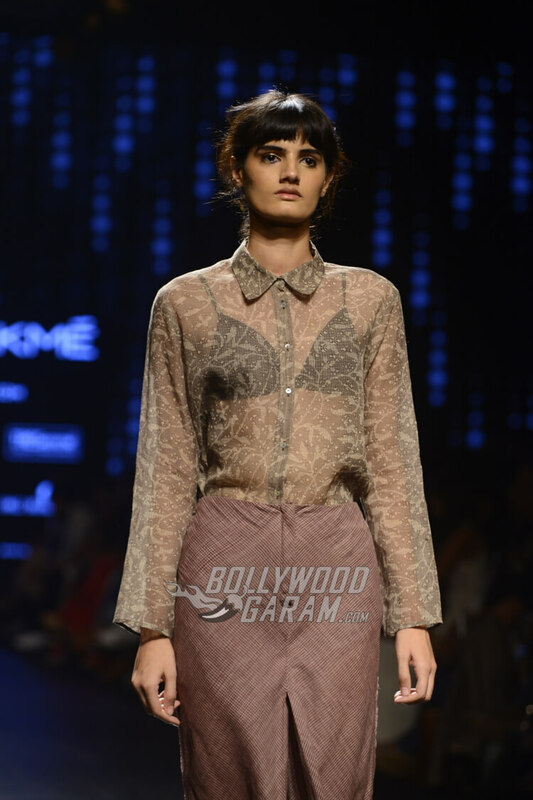 Designer Shani Himanshu too showcased his collection 11.11 – Eleven Eleven on the same day. 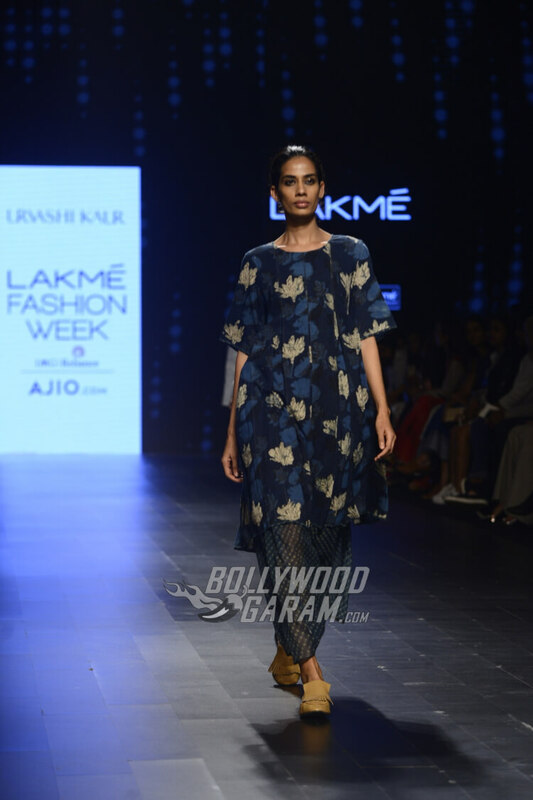 Urvashi Kaur’s Vaasa has showcased the use of techniques in dying like leheriya and Shibori, ajrakh, hand-block prints and chikankari embroidery. 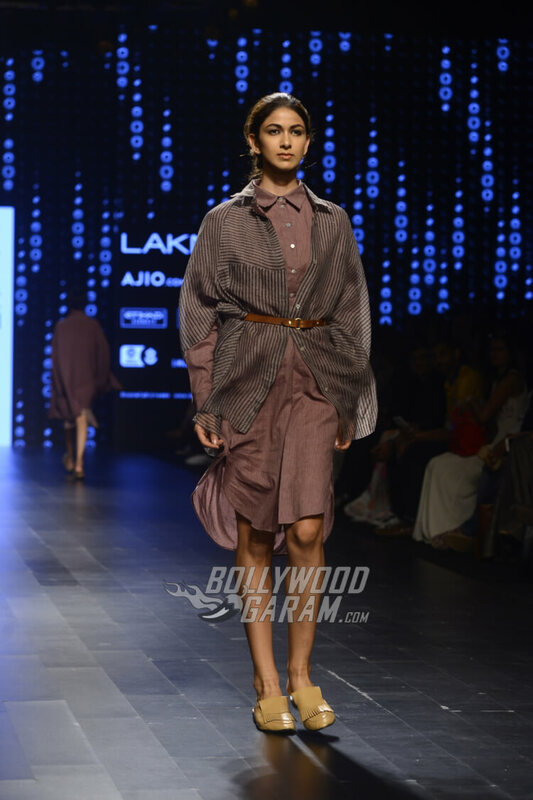 Despite several detailing the collection was kept simple through muted color palette that range from dusty blush, olive and indigo. 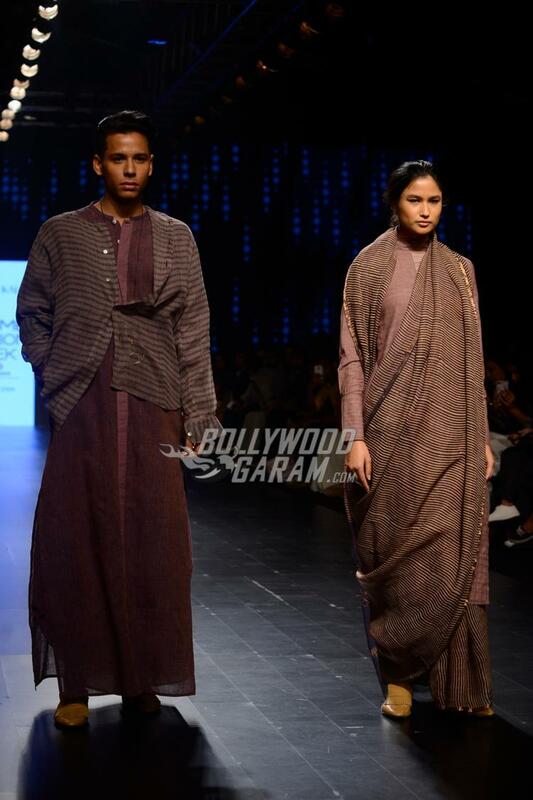 The designer has focused on organic and sustainable fabrics with the use of khadi, cotton, kota doria and cotton silk. 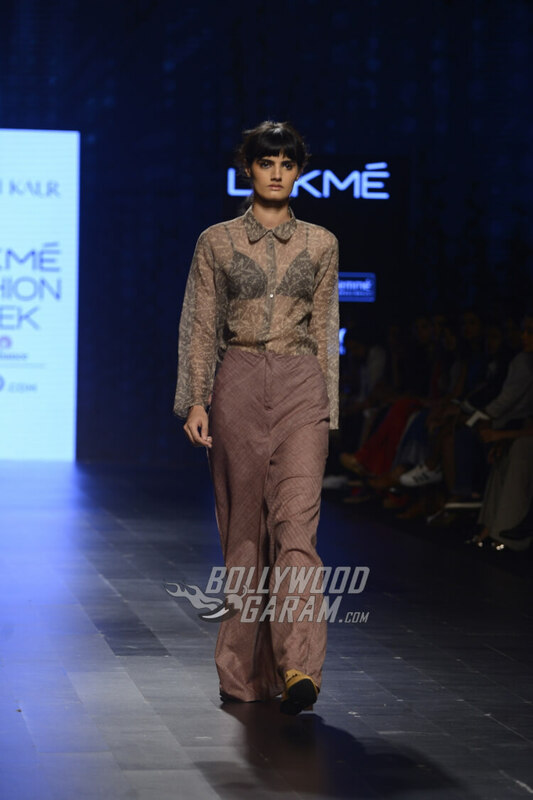 The collection also has sheer in the form of tailored buttoned down shirts that were paired with breezy trousers. 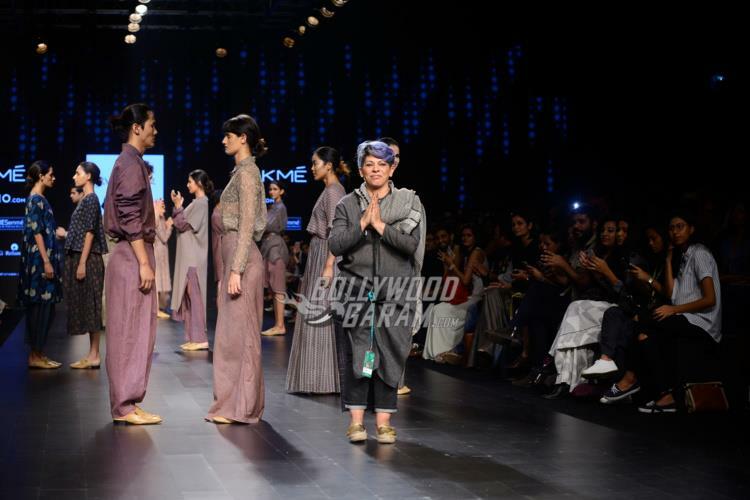 The patterns that dominated in Kaur’s collection was layering with structured jumpsuits, flowy maxi dresses, asymmetrical skirts with oversized sleeved kurtas and more. 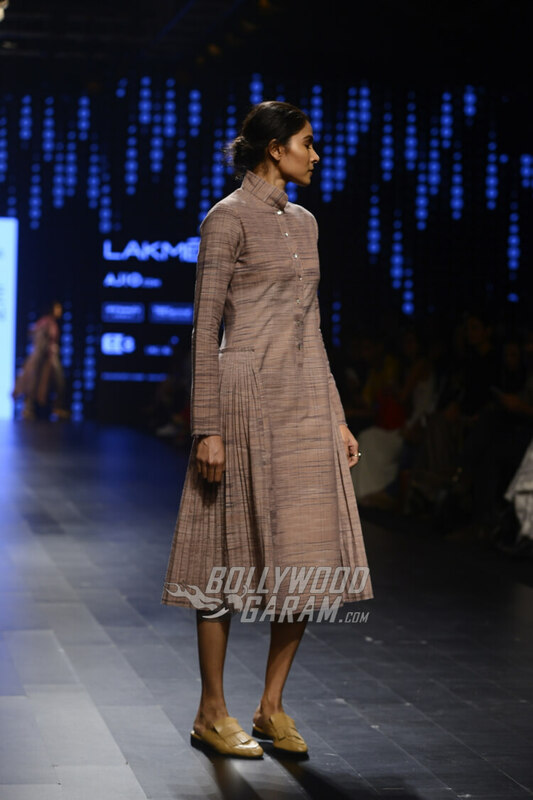 Shani on the other hand showcased a different perspective with the use of khadi to construct custom made pieces for active wear. 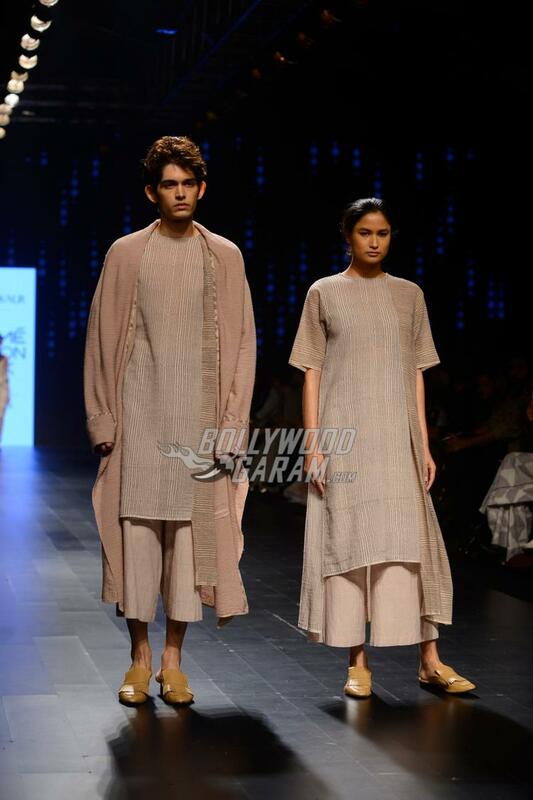 The focus of the collection was on comfort and the one that used extensive natural dyeing process. 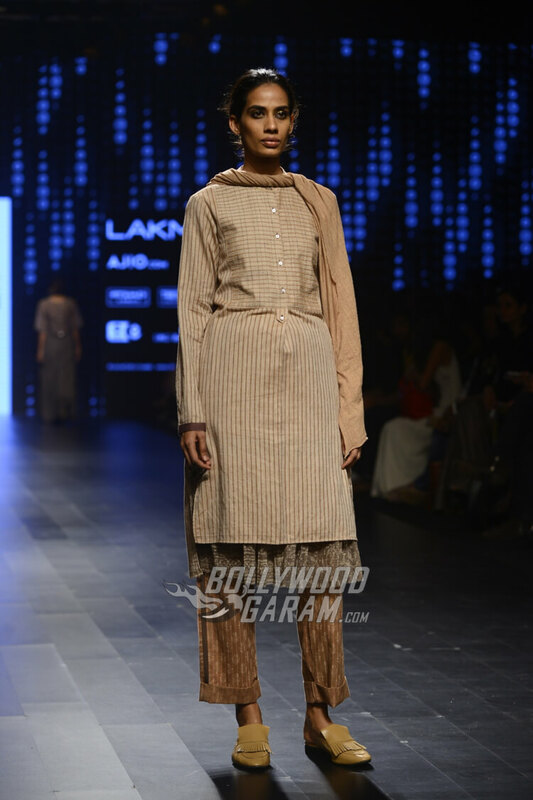 The collection had subtle shades of white and grey with indigo, rust and mustard. 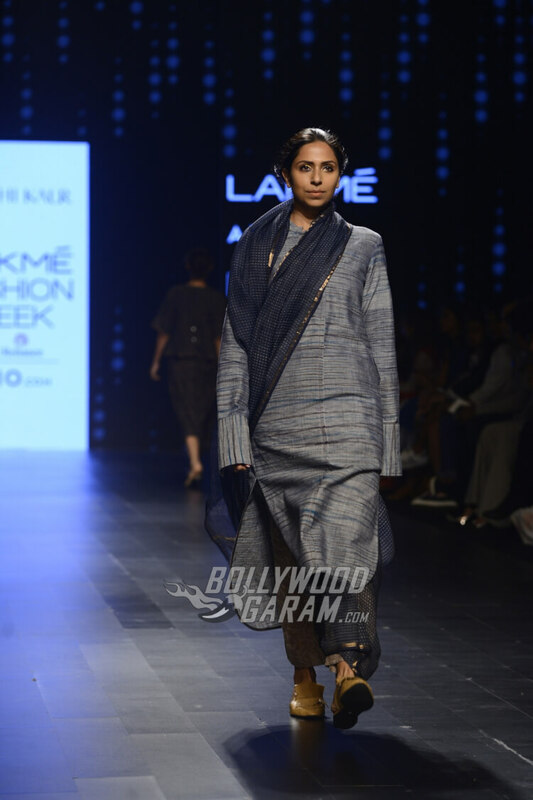 There were small checks and draped layers throughout. 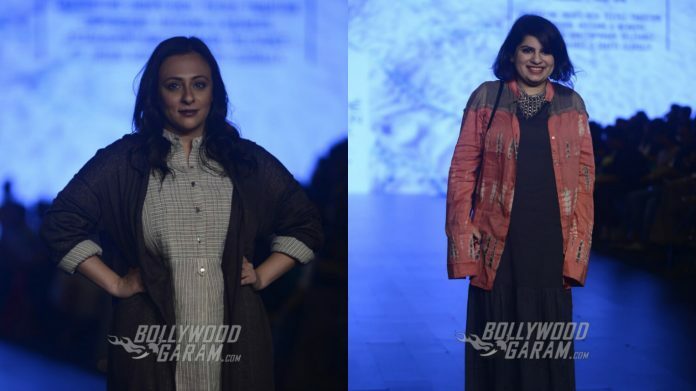 Next articleSonakshi Sinha Walks for Amit Aggarwal at Lakme Fashion Week Summer/Resort 2017!